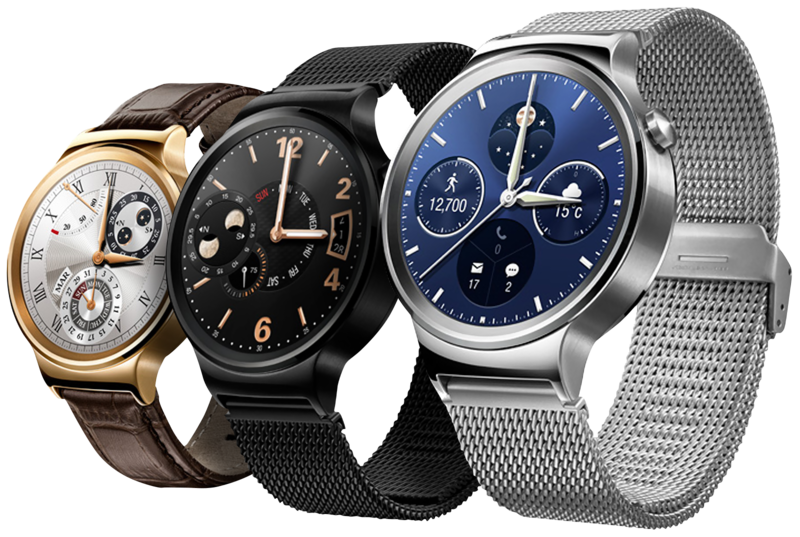 Huawei announced earlier today at the IFA trade show that its Android Wear smartwatch will be landing on US soil later this month. The wearable features a 42mm round face and body constructed of 316L cold-forged stainless steel with a double layer of scratch-resistant sapphire crystal covering the 1.4-inch AMOLED, 400 x 400 pixel (286 ppi) display. It accepts standard-sized lugs, making it compatible with virtually any other 18mm band. Specification-wise, the Huawei Watch features an always-on watch face, Wi-Fi connectivity for use when a phone isn’t paired or in range, Bluetooth 4.1 LE connectivity and an enhanced heart rate monitor. It is powered by a dual-core Qualcomm Snapdragon 400 SoC clocked at 1.2GHz alongside 512MB of RAM and is compatible with both Android and iOS. A 300mAh battery keeps things going for up to two days, Huawei claims. The Chinese company is offering several different versions of its smartwatch. Pricing starts at $349 for a stainless steel model with a black leather band. For an additional $50, you can bump up to either a steel link bracelet or a stainless steel mesh band. There’s also a black-coated stainless steel model with matching black link bracelet for $449, a rose gold-plated variant with alligator-pressed brown leather for $699 and a rose gold-plated model with matching rose gold-plated link bracelet for $799. Huawei is accepting pre-orders for select models as of writing (all but the rose gold options which are expected later this year) with plans to launch on September 17.